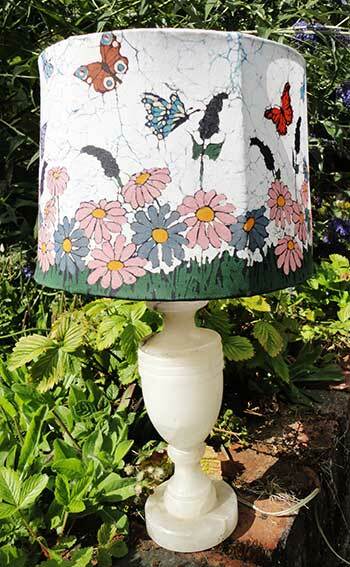 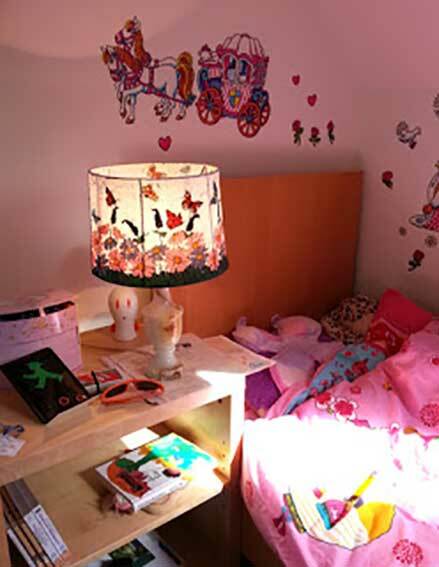 Commissioned for a child's bedroom, this lampshade had a strict set of criteria asked for by the little girl. 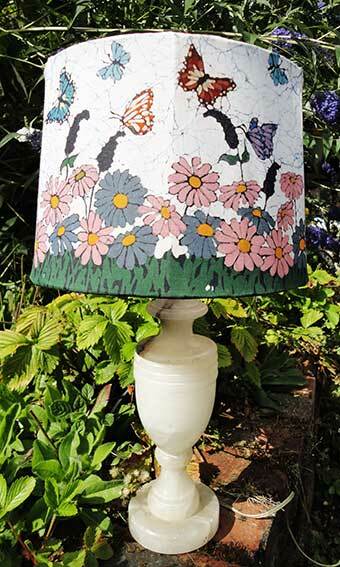 It had to have LOTS of butterflies and there MUST be pink flowers. 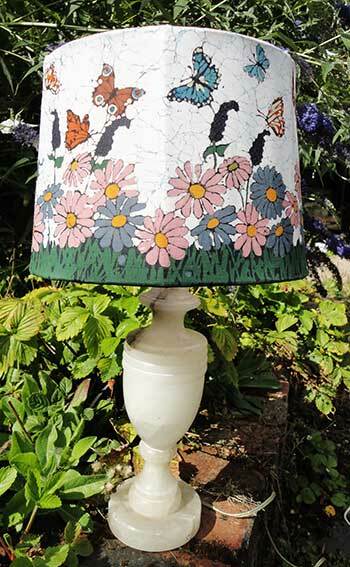 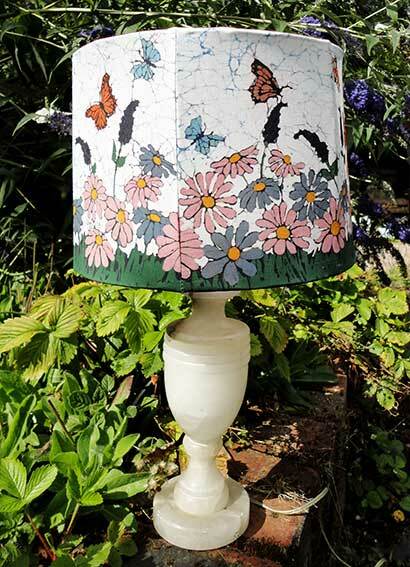 The resulting lampshade really comes to life when the lamp is lit and with a low voltage lightbulb, it could be left on all night if necessary.